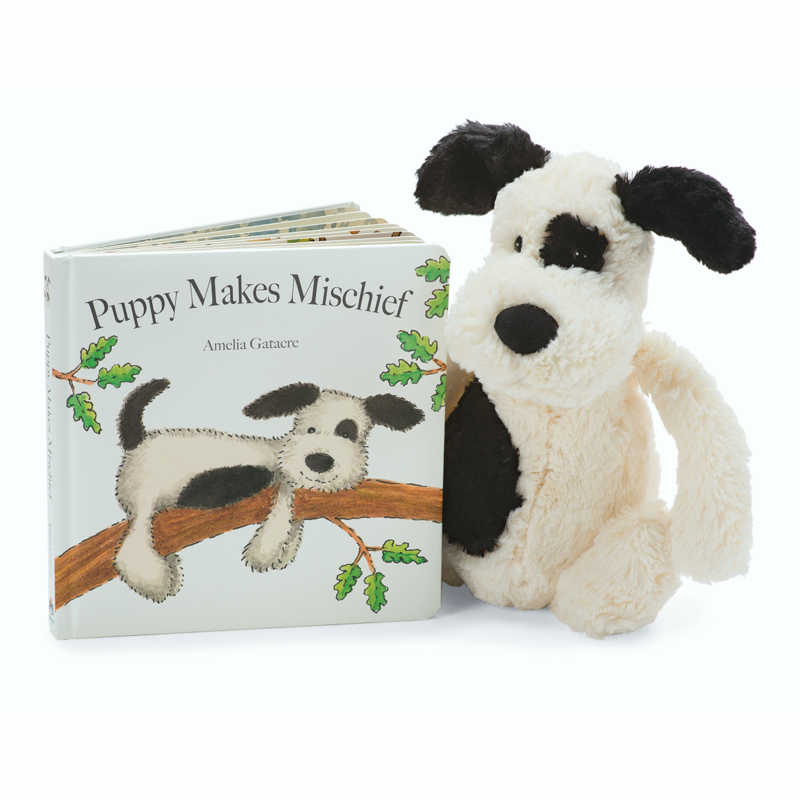 'Puppy Makes Mischief' along with Bashful Puppy plushie is a fantastic set to give as a gift to any infant, child or anyone young at heart. In 'Puppy Makes Mischief' puppy's best friend is away for the day. Now it's time to explore. Time to play! Just the present for cheeky babies, Puppy Makes Mischief is so much fun. Slide down bannisters with this dizzy dog, as she plays and waits for her pal to come home. A tough board book with a tender heart - perfect for little readers. Included in this set is Bashful Puppy Black & Cream Plushie. With her nose is twitching, she can't wait to run. Where should she look for a pawful of fun? Bashful Black & Cream Puppy wants to play all day! With her smudgy black patch and a sooty tail, silky-soft and lovingly loyal, this bashful pup is even more adorable!